Selective C-F formations: fluorine transfer by nucleophilic, electrophilic, and enzymatic methods. The most common fluorination reagents and a fluorinase. The Hull cell is a trapezoidal structure in which the cathode forms an oblique angle with respect to the anode. The change in the angles of the electrodes changes the distances between them and gives rise to a gradient along the cathode. A novel epoxy-carbaldehyde cyclopentane monoterpenoid with contiguous asymmetric centers, acting as a starting material for the synthesis of plinol, was synthesized from (R)-(+)-limonene oxide. Methylene blue degradation under N2 flow is higher than under air or CO2 flow. The Ca2Fe2O5 phase reacts with CO2 in an aqueous system. After the photocatalytic process, no Ca2Fe2O5 phase was observed in any system. This study compares chromatographic techniques for the determination of pesticide multiresidues in strawberries. The application of pesticides causes great concern owing to food safety and environmental protection issues, in addition to affecting the requirements for export licenses. This work describes the synthesis and anti-Candida activity of a series of new palmitic acid-based neoglycolipides related to fungicidal Papulacandin D.
Ketones were determined to be predominant in the essential oil and hydrolates of Campomanesia viatoris Landrum. Tasmonone was isolated and its structure was characterized by 1D and 2D Nuclear Magnetic Resonance (NMR) spectrometry and mass spectrometry (MS) analyse. Receptor 5 on an N-(indol-3-ylglyoxylyl)benzylamine hydrazine hydrate derivative can selectively distinguish F− from AcO−, H2PO4−, and other anions by a favorable color change from colorless to yellow in DMSO-H2O binary solutions. A novel rhodamine-based compound 1 containing a quinoline group was reported as an "off-on" fluorescent probe for Fe3+. A novel analytical method based on Euclidean distance was utilized to investigate the fluorescence response of 1 to Fe3+. The deconvolution and second-order derivative of square wave voltammograms were used to achieve separation of the voltammetric peaks of levofloxacin (LEVO) and norfloxacin (NOR), for their simultaneous quantification in urine samples. A maximum production of ester was achieved from fatty acids obtained by refining coconut and soybean oils. Microwave irradiation reduced the reaction time from 6 to 1 hour. Theoretical methods of electronic structure play a significant role in unveiling the hydrogen bond properties from structural data, vibration modes, or electronic profiles. This figure discloses graphically the thresholds for detection (based on the probability of 0.95) and quantification (probability of 0.99) when using the proposed ultrasonic method for the analytical task of evaluating the content of oils and greases mixed in water. This report describes the application of anisotropic nuclear magnetic resonance parameters, including residual dipolar coupling (RDC), for the determination of the relative configuration of α-santonin. The RDCs were also successfully employed for the assignment of prochiral methylene at C5, which was not previously known. 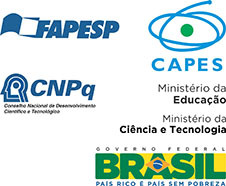 A free educational software was designed in English and Portuguese, implemented and evaluated by professors and students. It was characterized as an auxiliary tool to assist professors in their lectures and students in their learning process of intermolecular forces. Dye-sensitized solar cells were prepared by undergraduate students in a teaching laboratory as an approach to the concepts related to the development of an alternative renewable and environmentally friendly energy source. In this study, carbon dots were obtained through pyrolysis under an inert atmosphere using commercial colorless gelatin as a low cost precursor. The optical properties of carbon dots such as ultraviolet-visible absorption and emission properties make them a promising material. A historiographical study of Jane Marcet's role in spreading chemistry knowledge to a wider audience in the 19th century is presented.